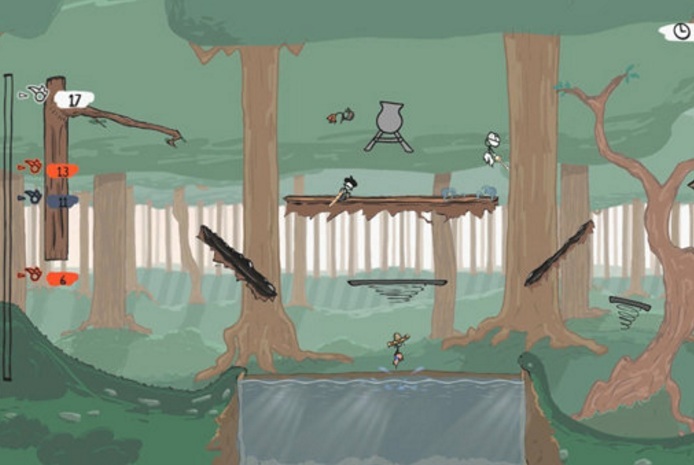 Fancy Pants is a series of online adventure game developed by Brad Borne. The game is browser-based and can be played on all browsers equipped with Flash Player. 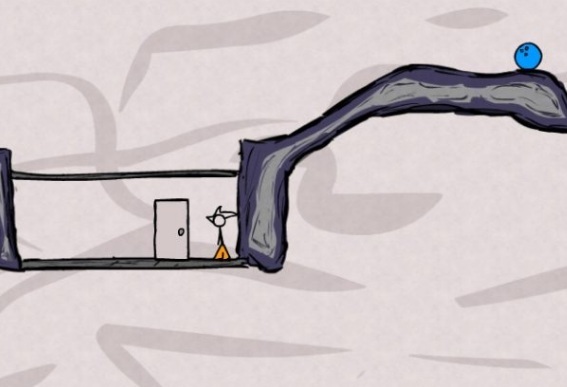 In the game, you control a hand drawn doodle with wavy hairs and fancy pants. The objective of the game is to level up by dodging through different obstacles and defeating enemies. The game is ideal for kids because of its cute graphics and engaging gameplay. If you never played Fancy Pants before, I recommend starting out with Fancy Pants 2 – it’s easier than the others. The controls are very simple and keyboard based. Players can move right or left using Right or Left Arrow keys. Hidden doors can be explored by pressing the Up arrow key and obstacles can be avoided by pressing the Jump Key. The controls layout makes the game very user-friendly due to which the game features good number of user base. Some areas can be only reached by sprinting towards it. You can sprint by pressing Right and Left Arrow key for longer period of time. Identify the enemies, their strength and weaknesses. Some enemies can be killed by jumping on their heads, but some enemies can’t be killed at all, and the only way to deal with such enemies is avoid them. Keep on looking for hidden doors as they contain secret passages, coins, and special treasures. Try to avoid colliding with obstacles as you lose health points on colliding with them. Don’t speed away; instead take time and explore as you can discover more hidden areas when you are not running. Swirls can be found in lots of places in the game. Make sure you collect as many swirls you can as these swirls will increase your lost health and also give you additional life. Analyze the environment and then play your move. Springboards can be used for jumping to high areas, curved pipes can be used to run around and sloping mountain hills can be used to gain momentum during running. Wall Jump can be performed on certain areas with two parallel walls in order to reach higher altitudes. With these tips, you will surely become an expert of Fancy Pants! 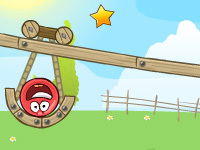 The game is a great stress buster for all the users who are fond of flash games, so start playing right away! Fancy Pants 3 Teaser from Plastiek on Vimeo. ©2019 The Game of Life online. All rights reserved. 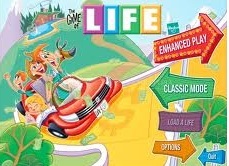 the Game of Life It is a trademark owned by HASBRO. This website is not endorsed by or affiliated with HASBRO in any way.